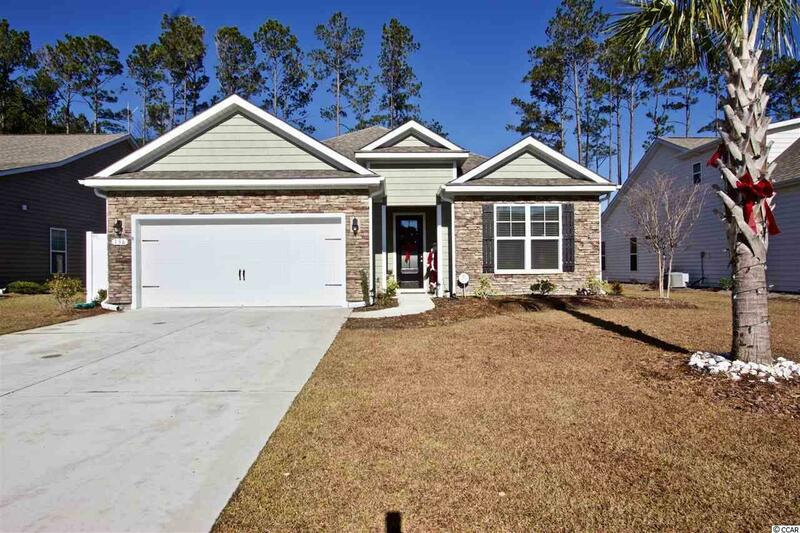 Welcome to this beautiful move-in-ready home located in the highly sought out neighborhood of The Preserve at Laurel Hill in Murrells Inlet. This home is the Eaton floor plan providing a large open kitchen and living space along with a large master suite. The home has hardwood and crown molding through out the main living areas, tile in the wet areas and carpet in the bedrooms. The kitchen provides 36” Spring Valley cotton cabinets along with colonial white counters and tile backsplash. This home also features a screened in porch out back perfect for enjoying the beautiful South Carolina weather all year long along with a fenced in back yard! The home features gutters and energy efficient tinted film on every window including the sliding door! This community is one of the few all natural gas communities in the area. The Preserve at Laurel Hill is located near all the shopping, dining and golf that the area has to offer! Be sure to check out this wonderful home today!